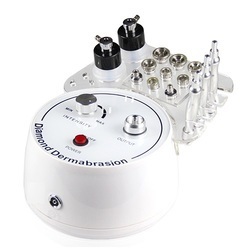 This system helps to reduce fine lines and wrinkles whilst stimulating regenerative new cell growth. Its non-chemical, non-invasive skin rejuvenating technique employed to help improve the texture and appearance of the skin, modalities for treating superficial skin blemishes resulting from trauma, aging or prolonged exposure to the sun. 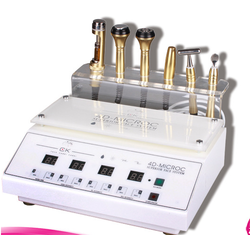 We Offer Machines for Diamond Tip Microdermabrasion Removal, Acne Scar Removal, Stretch Marks Removal etc. We are leading supplier and manufacturer of Beauty care equipments.